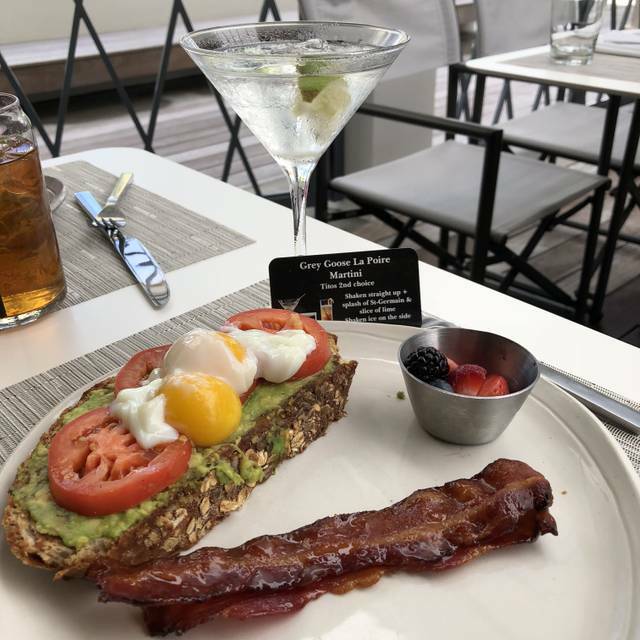 The Bevy is a New American restaurant serving creative five-star cuisine, carefully curated wine and trademark craft cocktails. 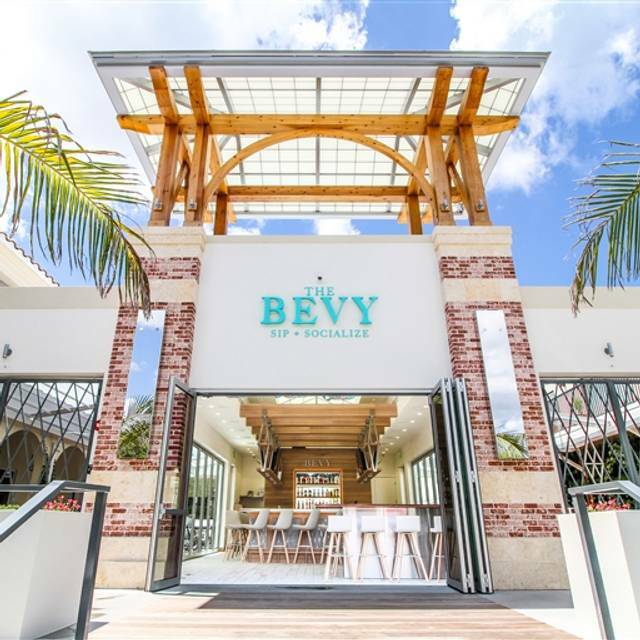 With a staff as warm and welcoming as family, and a chic open-air atmosphere, The Bevy is a place to feel relaxed. A place to gather. A place to Eat + Sip &+ Socialize. Our Serbian server was wonderful! Loved the tuna poke bowl, Brussels sprouts and swordfish special. Great vibe. Great food, especially the burgers. Excellent drink selection. Loved the atmosphere. Great vibe. Slightly younger crowd as far as Naples goes, which works for my husband and I as forty-somethings! Fantastic menu, two of the specials that night were vegan, a welcome surprise for me! I had the watermelon sashimi, so creative and delicious! Our server was also excellent, very attentive and friendly. Highly recommend. Must have been an off night. The two entrees and starter were tasteless. Basically non edible. The waitress seemed very busy and distracted. She forgot round of drinks. Very very disappointing. Will not be back. Loved the place. Fun, hip, youthful and my dinner was terrific. A great change from most Naples restaurants. But if you don’t like a noisy “scene,” this is NOT the place for you. We ordered 3 items on our first time here. We ordered the shrimp wedge salad, the fried chicken sandwich and the prime rib sandwich. The salad dressing on the shrimp salad was too vinegary., but otherwise a nice salad with 3 plump shrimp. The prime rib sandwich was very good. I liked the chicken sandwich but it was way too salty. I think it must be in the breading. The fries were OK but a bit overcooked. I was disappointed in the food as I had heard people rave about this restaurant. The waitress we had was very nice and we enjoyed talking with her. Her name was Snow. I loved the setting and the beautiful wall of greenery and the open airy dining room. It was very quiet when we were there with only one other table occupied. We always like to try new places in Naples. We heard this was a newer, happening spot so we made reservations. The ribeye was over cooked and dry, the pasta with braised lamb was also very dry. I wouldn’t recommend this restaurant. It’s also pricy and the overall experience wasn’t worth it. We loved our meal at The Bevy. The atmosphere is cool - open air with a lovely living wall surrounding the dining area. Our food was delicious. Portions were a good size. Service was lovely. Overall we had a great experience. I liked it better than several other restaurants I’ve been to on 3rd and 5th. I’ll be back! Our reservation was for 8pm but we were not seated until 8:25. We were seated in the right side in the back. It was very hard to read the menu. I made the reservation early and expected a better table. The food is delicious at the Bevy. It is still a bit noisy, but so much better without live music. We had a great location away from the bar and could speak in a normal voice, very pleasant. Food was spotty, the chef needs a thermometer. We shared two grilled caesar salads that were great. Then we had two seared tuna one ordered medium and the other medium rare. The medium rare was raw with only a 1/16 in. sear around. 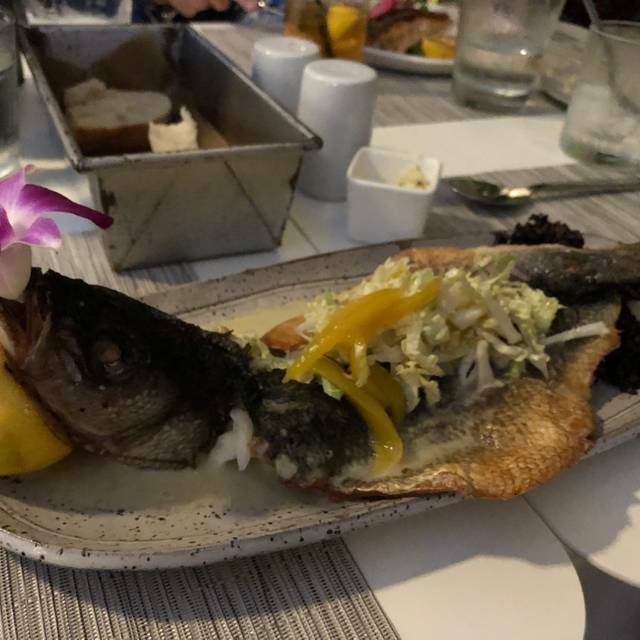 The snapper was fantastic. I had the venison loin and requested med. rare. It was practically raw. I am sorry that I didn't send it back. Fabulous vibe! Had great service and we loved our cocktails and dinner. The manager was wonderful to come over and check on us. I would highly recommend this restaurant for the whole experience. Great service and atmosphere! Very kind and accommodating to our two kiddos. Scallops were over cooked sadly. With every visit to The Bevy we are very pleased with the decor, friendly and efficient service and excellent food. We highly recommend The Bevy to everyone. Love this restaurant. Fun, great ambiance and food is excellent! 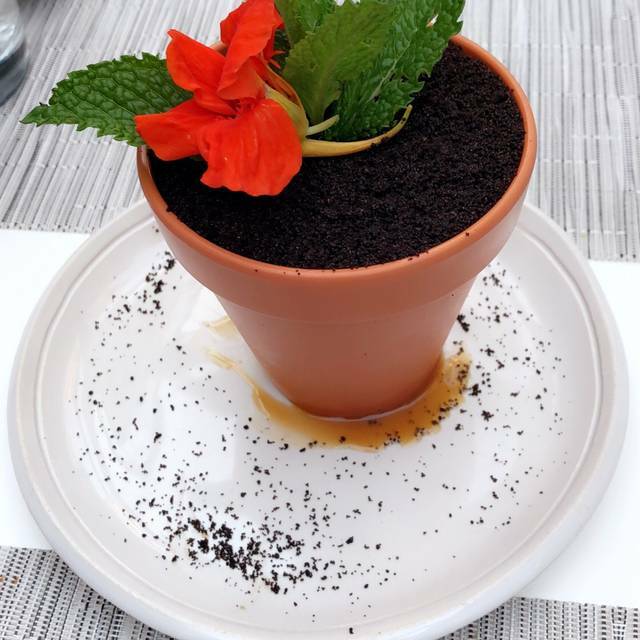 We enjoyed the physical aspects of the restaurant immediately and were delighted to find that the staff and the food were equal to the ambience. We definitely will return. Love the decor, the open air experience and the food. Wait staff and bartenders are awesome!! 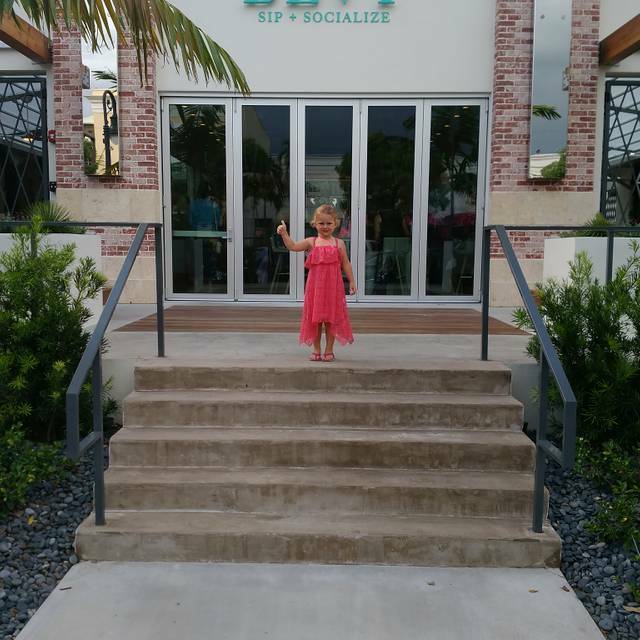 One of our favorite places to bring special guests. 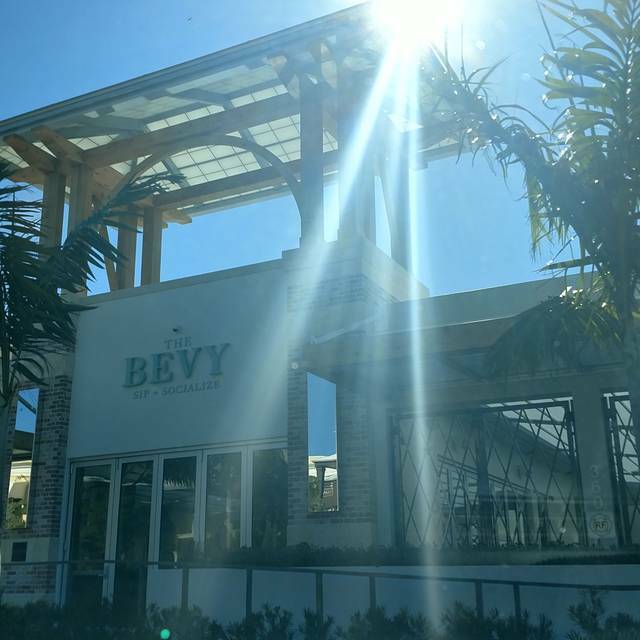 The Bevy was always my favorite restaurant in Naples. The Bevy Burger was always the best in Naples. Three in our party got them this time and they were sub par. Overcooked and dry. I wish the bar servers would have told us before the kitchen closed because we would have ordered more delicious food! I LOVED the pulled pork egg rolls in particular! Our waitress wasn’t very helpful when it came to describing the meals and making recommendations. The grits with the pork loin were lime eating cardboard mush and the mashed potatoes tasted like instant potatoes. Fun atmosphere, great service and entrees. Highly recommend the snapper and udon! Everything was delightful, from the greetings, service, atmosphere, to the food. Highly recommend the experience! We enjoyed our first evening dining at The Bevy, but unfortunately one of our meals was very disappointing. The pistachio crusted trout was delicious and expertly prepared and presented. Our server was delightful and very attentive. I ordered the Bevy salad with grilled chicken .... the salad itself was very small and the tiny piece of chicken with it looked bad from first sight. It was overcooked, thus tasting like rubber. I do wish I had not settled and sent it back. My mistake as I believe the head chef and manager should always be made aware. We will return next season and hope to have a more pleasurable experience. My clients truly enjoyed the pear prosciutto flatbread. I’ll order it again! A fun happening place. Nice to see all age levels enjoying themselves at The Bevy! This was my 4th repeat visit this season. We sat at the bar. 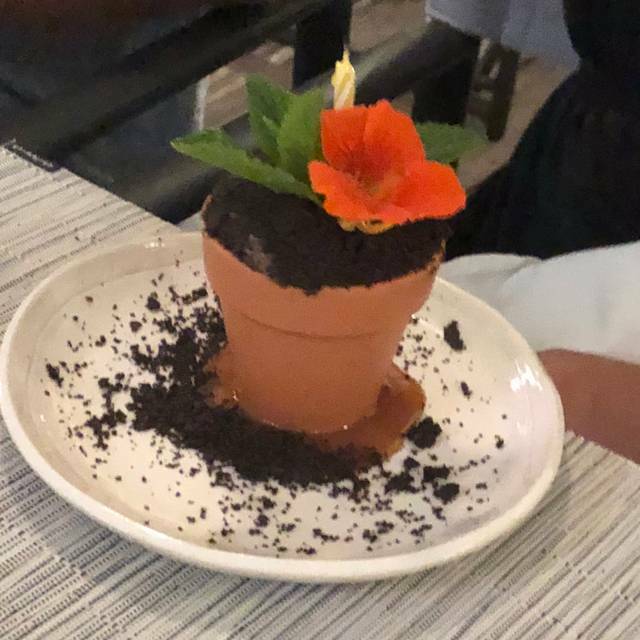 Although the food was fantastic, the service was not. Didn't feel attended to much at all. We had to call them over for everything, and the bar wasn't that busy. The positive: The hostess was very friendly and helpful. The Negatives: overall design of the restaurant. First, no effort made to deaden noise. No music, just voices amplified to assault the ears upon entering. Second, foliage everywhere to, I assume, give the air of being outdoors in an arboretum. Instead, it felt like being in an overgrown forest. Greens behind us encroached to where we had to push branches back just to get to our seats. If you want this design, a full time landscaper is needed to constantly prune. Food: the four of us chose completely different entrees - roasted caulifower steak, salmon, lamb ragout and venison - and every conclusion was "meh". Not awful but nothing special. Conclusion: too many other restaurants to choose from to return here. Very noisy. Scallops to big not tasty. The bartenders were happy, prompt excellent drinks while we waited for our table . We were seated at the only available table in a very windy location which was ok. The waitress took our order quickly since we already knew our choices. The first course grilled octopus was excellent. 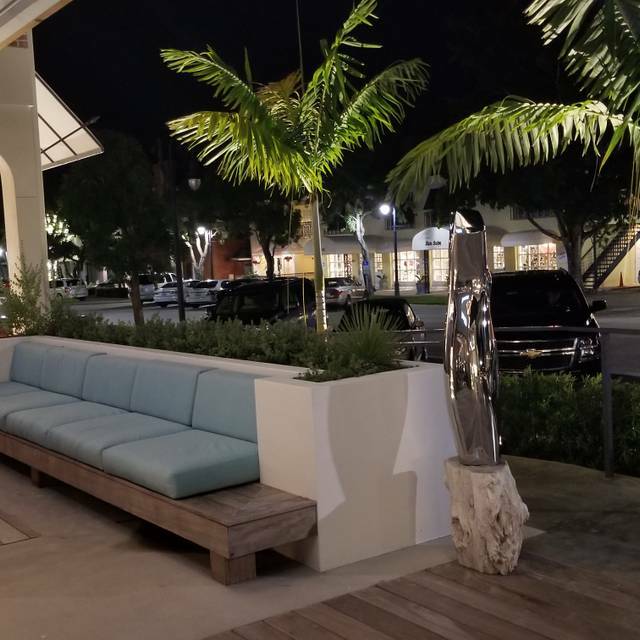 Contemporary, coastal design, good lighting, great service and great food and drinks. Always a solid choice in dining in the 3rdStreet area!! Lunch at the Bevy was good. portions were large tasty and well served. It was a quiet day which made it that much more pleasant. Recommend it highly. Service was slow. 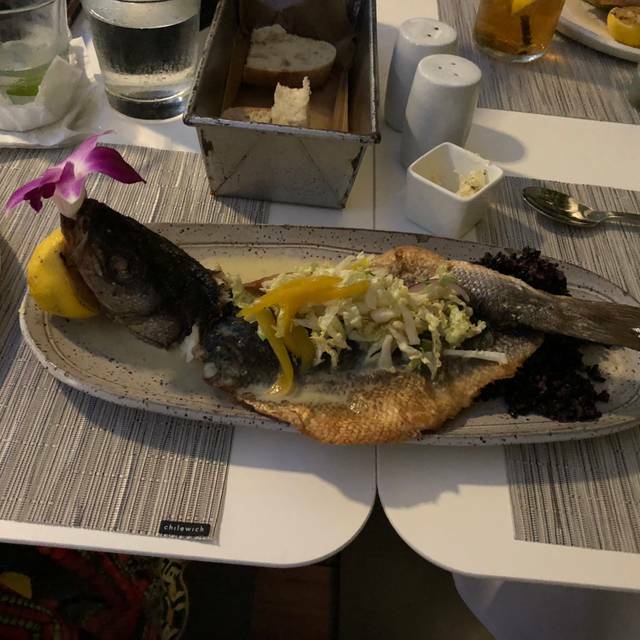 Food took quite a while to come and then the fish was bland and the cauliflower steak hard as a rock. I’d return for cocktails and appetizers but probably skip the entrees. In their defense the manager was apologetic and offered free dessert. Not sure if perhaps the kitchen is too small for the number of seats in the restaurant to turn out food in a timely manner. Cauliflower steak was raw, could not cut through it!! !